Sainsbury’s has decided not to take any more deliveries from the factory at the centre of serious concerns over food hygiene and labelling. The supermarket joins Marks and Spencer, Lidl and Aldi in suspending taking fresh chicken from 2 Sisters plant in West Bromwich featured in an investigation by ITV News and the Guardian, which uncovered a series of potential breaches of food safety rules. It comes as the chair of the Environment, Food and Rural Affairs Select Committee said he is considering a “short, sharp parliamentary inquiry” into food safety at 2 Sisters, the UK’s largest supplier of chickens to supermarkets. Neil Parish MP said the inquiry would seek to “restore public confidence” and hoped the firm’s owner, Ranjit Boparan, could be called to give evidence. 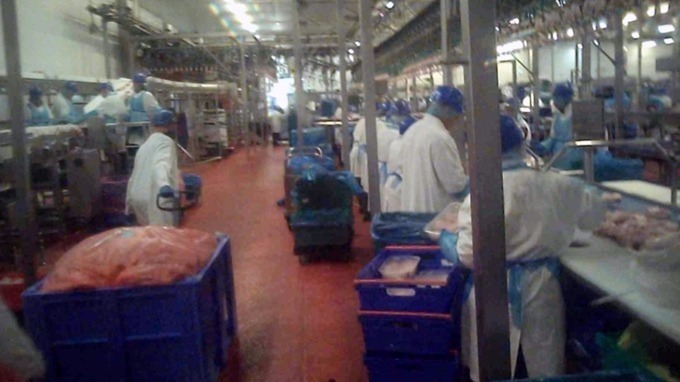 ITV News’ undercover reporter got a job at 2 Sisters’ “Site D” in the West Midlands, which processes fresh chicken for Tesco, Sainsbury’s, Aldi, Lidl and Marks and Spencer. But he found evidence that suggests some of the chicken produced from this factory may not be as fresh as the use by date suggests. Sainsbury’s said that while it investigates the allegations they have stopped taking any products from the site. 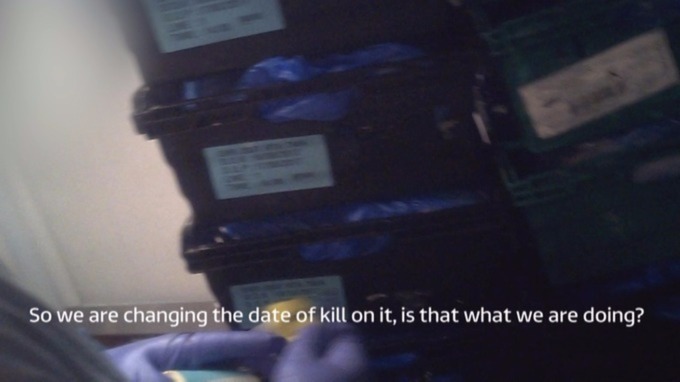 M&S told ITV News “the standards shown in the footage are unacceptable, we take hygiene and traceability very seriously”. An Aldi spokesperson said: “We have suspended supply from this site while we carry out an urgent investigation into these allegations. A Lidl spokesperson said: “Lidl UK takes the issue of food safety extremely seriously and we were very disappointed to see the unacceptable standards shown in yesterday’s report. ITV News and the Guardian spoke to more than 20 workers, past and present, who have stated that such practices take place. Some also claim that the chicken supermarkets reject is often repackaged at the factory and sent out again. 2 Sisters employs people to patrol the production line and enforce food safety rules but the quality assurance workers we spoke to told us that they are intimidated by production managers and fear being sent home if they intervene. A former employee told us they were treated like “the enemy” by production staff and that they felt their job was “pointless”. We shared our findings with Professor Chris Elliot, a food scientist at Queen’s University Belfast, who led the government’s inquiry into food safety following the horsemeat scandal in 2013. Professor Elliot has inspected many food businesses in the past four years and insists he’s never seen such poor standards. More generally, he believes government spending cuts have damaged the effectiveness of local authority inspections. “It is my view that the environmental health services in the UK have been cut to the bone and cut to such an extent that things like this are probably happening more frequently than they should,” he said. 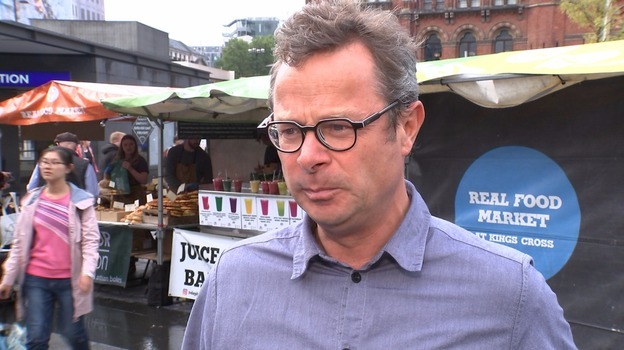 Dr Richard Hyde, an expert in food law at the University of Nottingham, told us: “If you are placing a use by date that is incorrect, that is a breach of law. If you place food on the market that doesn’t have the correct traceability information, that is a criminal offence. “There are a basket of potential offences here that the regulators need to look at and decide whether further action is required”. 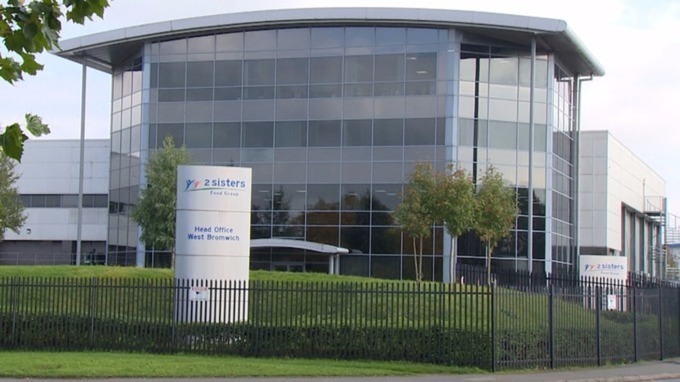 2 Sisters Food Group was founded in West Bromwich in 1993 by Ranjit Singh Boparan, who has built the business into one of the UK’s largest food producers, employing 23,000 staff. The 2 Sisters empire is vast but Ranjit Singh Boparan is still known in the West Midlands as “The Chicken King” and the bulk of the group’s sales come from processing poultry. Boparan and his wife, Baljinder, own the business and The Sunday Times estimates their wealth to be £544 million. 2 Sisters is dependent on the five biggest supermarkets for its income. The group’s accounts note that the loss of any of these “key customers” as a potential risk to the business. The same section notes that “product quality and safety issues are paramount to the groups’ success”. 2 Sisters Food Group told us that it takes these allegations extremely seriously. It said: “Hygiene and food safety will always be the number one priority within the business, and they remain at its very core. Today 2 Sisters later released a further statement. We took our findings to the other supermarkets supplied by 2 Sisters Food Group. They told us that they take hygiene and traceability very seriously. All said they would be investigating the allegations. We take the allegations against 2 Sisters extremely seriously and are carrying out our own rigorous investigation into the issue. The Food Standards Agency has conducted an initial inspection which did not find any current breaches, however we will continue to review their findings as well as our own. To provide additional assurance to our customers we will also be putting in place further quality measures at the site while our investigation continues. The Food Standards Agency takes any allegations of inaccurate labelling and breaches in hygiene regulations very seriously. We urge ITN and the Guardian to share the full details with us, such as the footage taken and witness interview transcripts, so that we can investigate thoroughly and promptly. This particular cutting plant is regularly audited by the FSA and they are also subject to unannounced inspections. Previous articleසඳ මත දරුවන් ඉපදීම වැඩි ඈතක නොවේ. Next articleඔස්ට්‍රියාවේ ප්‍රසිද්ධ ස්ථානවල බුර්කාව තහනම්.